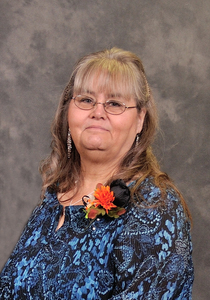 Sandra K. Nagel, 67 years old of Bryan, Ohio passed away Friday November 16, 2018 at Bryan Community Hospital. Sandra was born March 16, 1951 in Bryan, Ohio the daughter of the late Ernest Tressler and the late Viola Price. She loved to sing and spend time with her family. She also enjoyed crafts and scrapbooking. Surviving are her sons John Nagel and Todd Nagel both of Bryan. grandchildren Ashley (James) Sigley, Alyssa Nagel, Sierra (Matt) Goad, Mickey (Brittany) Nagel, Brock Nagel, Skyler Nagel, Pierce Nagel, Kane Nagel and Austin Owens all of Bryan. Kent (Taylor) Nagel of Archbold. Great grandchildren Madison, Hailee, J.J., Desmond, Rileigh, Alysha, Ariana, Rozzalynne, Zeelia, and Rylan. Sisters Sharon Marihugh & Linda (Mack) Gray, brother Bernie (Karen) Tressler all of Montpelier. She was preceded in death by her daughter Jennifer Nagel, sister Teresa O’Neill and brother in law Ike Marihugh. A Celebration of Life for Sandra K. Nagel will be held Saturday December 1st at 2:00 pm at Grace Community Church 206 W. Bement St. Bryan, Ohio.